It would be a pity to have a nice helmet and let it sit on a shelf, collecting dust, when instead, it could be beautifully displayed in all its glory on a nice quality Helmet Stand. 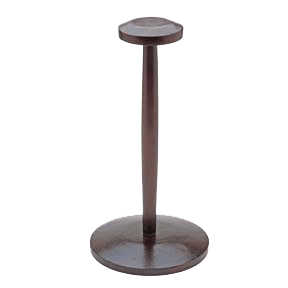 This stand is made from wood and will accommodate virtually any helmet. 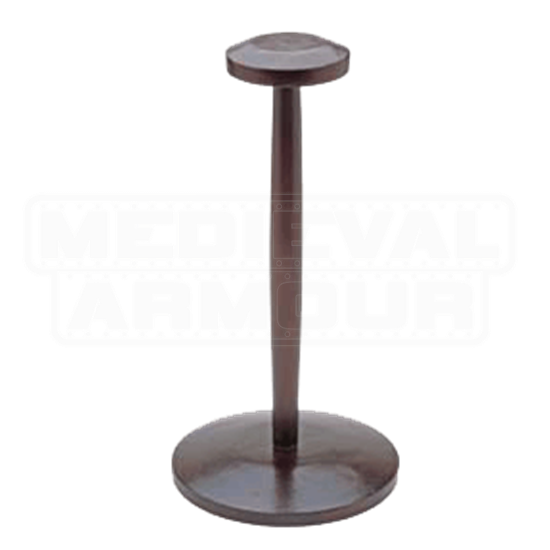 Designed to pick up a helmet and show off all of its detailing, this helmet stand is a rich looking wood base that supports the helmet, which is held aloft by a small column that features a round plate at the top (which balances the helmet and holds it up). The end result is that when combined with a good helmet, this stand keeps it elevated and readily accessible, while making any helmet look like an actual decoration.